A unique superhero with enhanced senses and unparalleled capabilities; this superhero is a blind lawyer in the day, but by the night, he turns into a vigilante who fights crime efficiently. Where can you stream Daredevil? 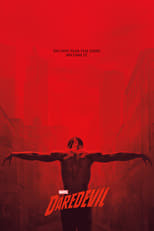 On 2015-04-10 Action/Crime TV Series Daredevil first aired on Netflix. Written and created by Steven S. DeKnight & Drew Goddard, and produced by ABC Studios & DeKnight Productions, .